Award-winning Ghanaian dancehall artistes Samini and Shatta Wale have patched up their differences and promised to work together for the growth of the genre from this year.For years, the two waged what could pass as the fiercest war of words in Ghana’s music industry, over who is the ‘Dancehall King’ in Ghana. The war degenerated into personal attacks and it manifested in their music, on social media, on stage, and on air. Samini took the biggest of jabs from Shatta Wale, who released a number of songs using profane and unsavory words to insult Samini and his family. But Samini said on an Accra-based Pluzz FM Friday that he has forgiven Shatta Wale for all the direct insults he threw at him and he is ready to open a new page this year. 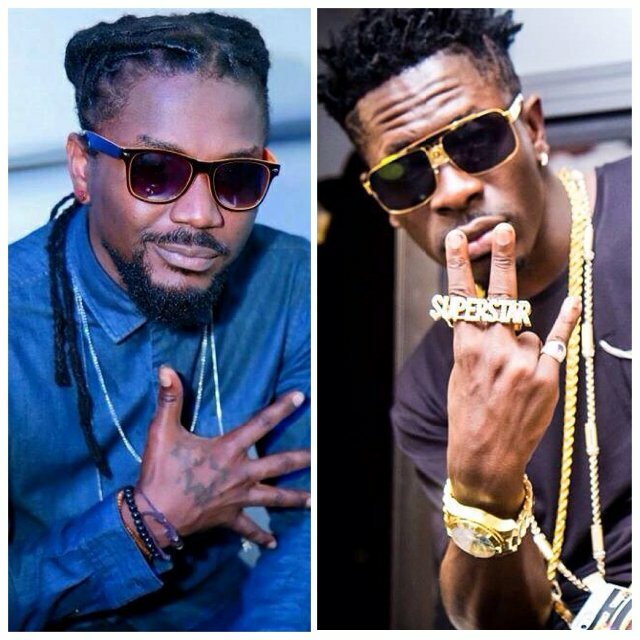 Samini disclosed that the first time he met Shatta Wale was through Obour, current president of the Musicians Union of Ghana (MUSIGA). “He was Obour’s kid. I heard him in the studio, when I was going to feature on Obour’s song and I told Obour that guy was good and Obour said he was his kid. So when I was doing my tour, I called Obour to bring his kid on board,” he said. Samini said he had always known Shatta Wale is a good musician and he is ready to work with him any day to conquer new grounds with their Afro-dancehall genre. While Samini was on air, Shatta Wale was also called on phone and he confirmed that he had nothing personal against Samini and that he had always respected him. “People need to know that whatever has gone on between me and Samini is nothing personal – it is all business and so people should watch out for us this year,” he said. The two shared a few friendly exchanges in Patois and promised to work together to move Afro-dancehall to new heights.